Si, we are back to one of my all time favorite topics: wine. And this episode is about the most famous Austrian wine region, the Wachau. The Wachau is an Austrian valley with a picturesque landscape formed by the Danube river. It is one of the most prominent tourist destinations of Lower Austria, located midway between the towns of Melk and Krems that also attracts “connoisseurs and epicureans” for its high-quality wines. The Wachau valley is well known for its production of complex dry white wines. Indeed, Wachau is a source of Austria’s most prized dry Rieslings and Grüner Veltliners. The temperature variation in the valley between day and cold nights has a significant role to play in the process of ripening of the grapes. The heat retained in the water and the stoney slopes with thin soil cover facilitates this process of growing fine variety of grapes, which results in the sophisticated wines produced in the valley. Since rainfall is not adequate for the growth of wines on thin soils, irrigation is an essential requirement to give water supply to the wine yards. Steinferd®: Fruity charm and a stipulated maximum alcohol content of 11.5% characterize the lightest style of top Vinea Wachau wines – the Steinfeder®. The name itself refers to the typical “Steinfedergras”, a grass which grows near the vines in the Wachau´s terraced vineyards; it is light like a feather, and fragrant – just like the wine named after it. Federspiel®: This classic dry wine is distinguished by a strong, nuance-rich character. Federspiel® wines are slightly stronger and feature an alcohol content of between 11.5% and 12.5%. The name Federspiel refers back to the times of falconry, when this favorite form of hunting was practiced in the Wachau. Smaragd®: Smaragd is the name for the best, most treasured wines from the Vinea Wachau members. The alcohol content of these wines begin at 12.5%. This, along with the highest grape ripeness and natural concentration are what make this world-class designation possible. Emerald-coloured lizards – also known as Smaragd – are at home in the terraced vineyards of the Wachau. 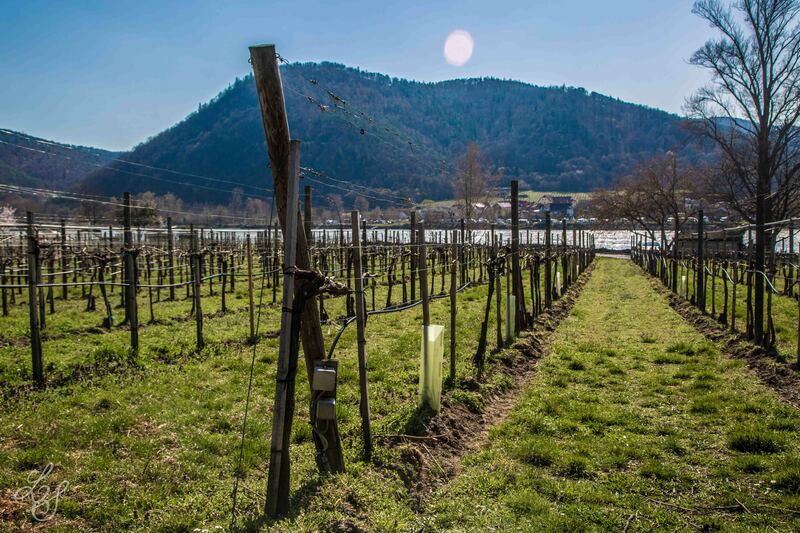 On bright, sunny days, their beauty is highlighted dramatically as they bask in the gleaming sun next to the grapevines – the perfect symbol for the absolute top Wachau wines with full physiological ripeness. The wines above were tasted in one of the biggest wine estates of the region, Domaene Wachau. I can totally recommend it. But Wachau is not only wines. You have an excellent production of apricots as well, together with all the Marillen Likor (apricots liquor) or different types of Grappa which follows it. For hiking lovers, do not miss the short but very interesting hike up to the Durnstein ruins (in the pic below). And if you have a bit of time, just on the way, like 25 mins from Wachau, plan a stop at Melk Abbey.